Local strawberries are in season for a few short weeks in the spring. 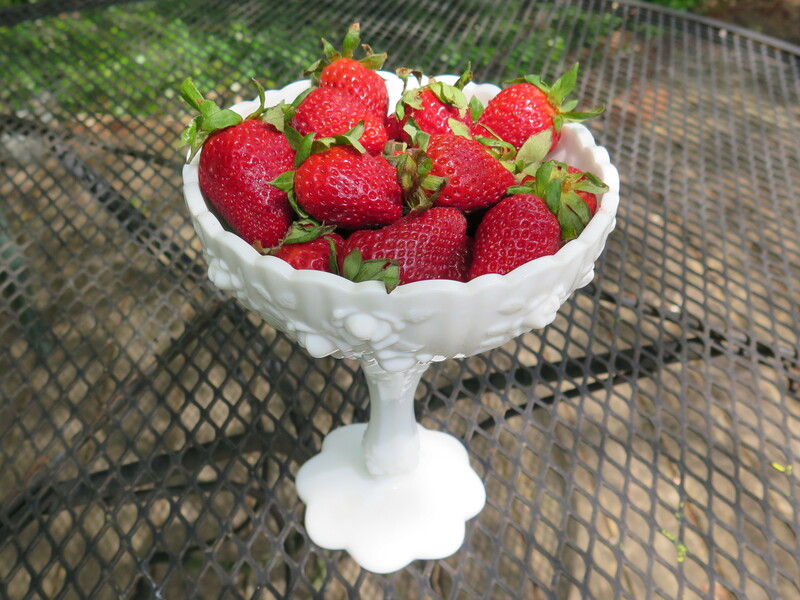 Refreshing and healthy, I like to feature recipes using Louisiana berries as a way to support local farmers as well as include fresh fruit in our meals. I have in mind a cake which I made years ago for a bridal shower; a poke cake. And with Mother’s Day coming up soon, it is a very striking cake for this festive occasion, too. I couldn’t pass up the beautiful Louisiana strawberries at the farmer’s market last Tuesday. Now I’ve got to figure out how to use them. Angel food cake is something I’ve always wanted to try and so I am going to bake an angel food cake topped with fresh sliced strawberries. And I’m going out on a limb by adapting the cake recipe for Passover. 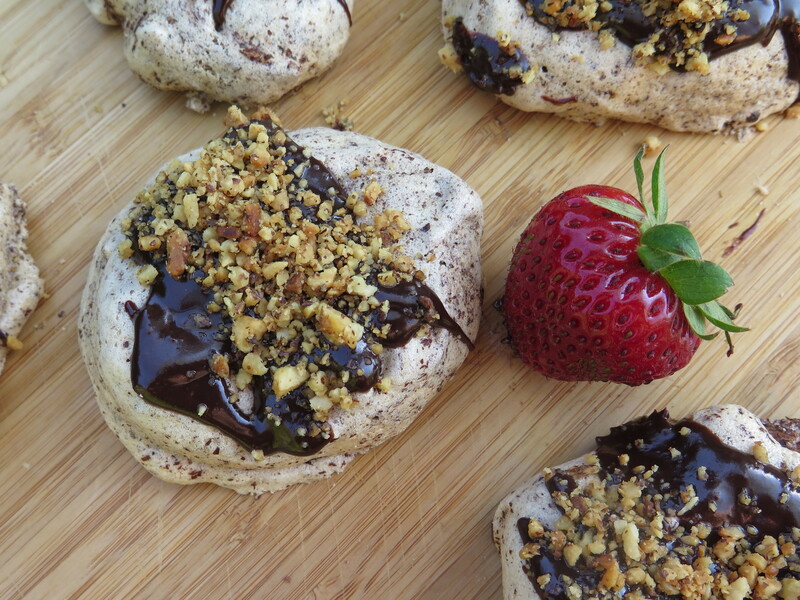 One of my favorite desserts is a light and airy meringue cookie topped with chocolate glaze and walnuts. In the springtime, it can be adapted into an elegant dessert when shaped as a meringue shell and served with fresh, ripe strawberries. Do Strawberries Grow In Louisiana? Do strawberries grow in Louisiana? Yes, they do. The quaint little town of Ponchatoula, which is north of Lake Pontchartain and New Orleans, holds a Strawberry Festival every April. There is music, entertainment, a king and queen, and of course, strawberries to eat. Ponchatoula holds fond memories for me. It was the first place we stopped when moving to Louisiana. The center of town had a cement pond with large alligator swimming in it. It was August and steamy hot. We had no air conditioning in our car and that was the first time I’d seen an alligator. Truly thought I’d moved to another land–a memorable moment. Several religious holidays come with the arrival of spring. Passover is on the horizon on April 15 and Easter is soon, too; this is an important holiday for the strongly Catholic Southern Louisiana. 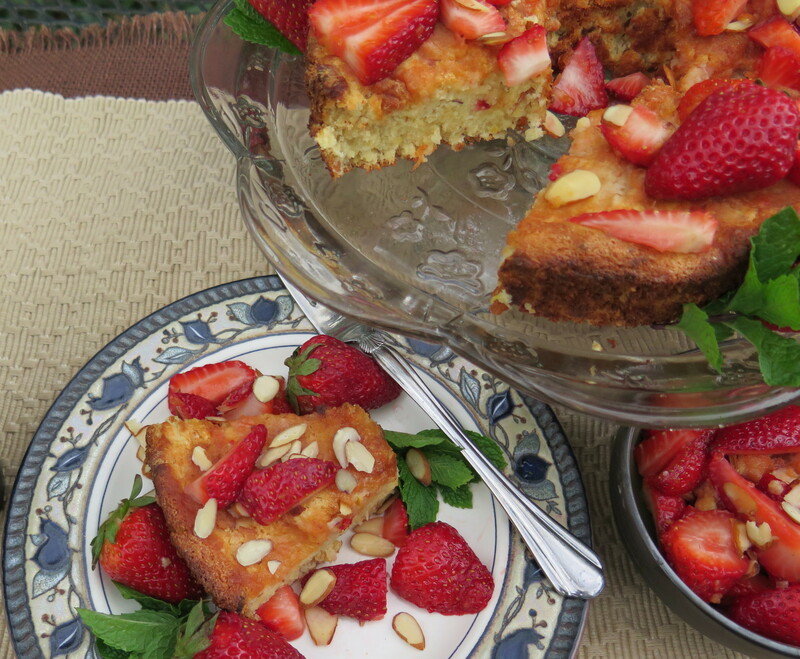 I’m making a Lemon Almond Sponge Cake with Fresh Strawberries for dessert. 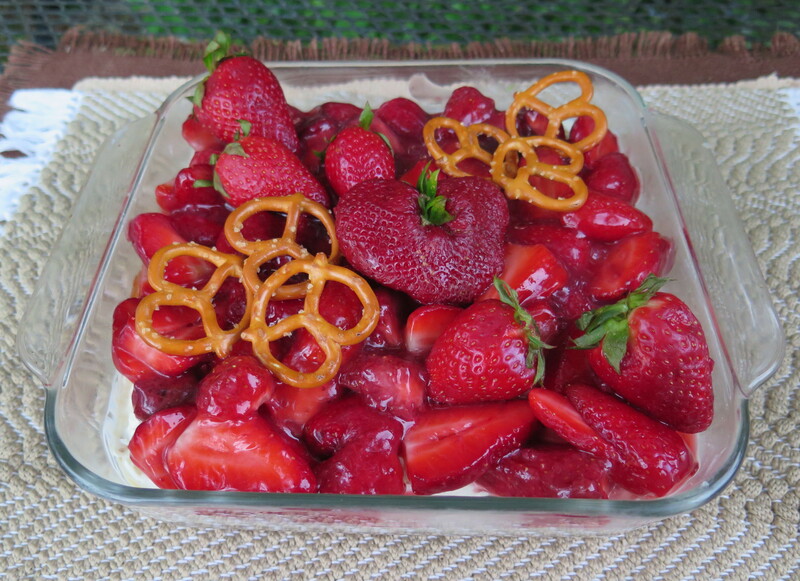 Louisiana strawberries are in season here; they add flavor to the dessert and make it a colorful presentation. This cake meets the challenge of being made without flour and leavening for Passover.